The Oluwo of Iwoland in Osun State, Oba Abdulrasheed Akanbi, said on March 31 that he should henceforth be addressed as "Emir of Iwoland" (he later declared himself “Emir of Yorubaland” before saying he only meant that Hausa people could call him that if they wanted). This provoked a gratuitous cyber fight between Yorubas and Hausa Muslims. The Oba was derided by Yoruba people as taking on a “Hausa title,” and Hausa people became the target of derision. This, of course, ignited strong reactions from Hausa people. This intervention is merely linguistic; it is not intended to justify the Oba’s choice of “Emir” as his title. I personally think that the Oba is either being deliberately provocative or is literally out of his mind. When I watched a video of him insulting a whole host of people and wildly gesticulating in ways that, in my opinion, demeaned his status as the king of a people, I thought he needed more help than attacks. 1. "Emir" is NOT a Hausa word. It's actually an English word by way of the Arabic "amir," which simply means ruler or leader or commander. So, in a literal linguistic sense, every Oba, Obi, Sarki, Suno, Tor, Ochi, Olu, etc. is an "emir." So “emir” has been an English word for more than 400 years, that is, at least 200 years before the Usman Dan Fodio jihad and about the time Islam became widespread in Hausaland, Yorubaland and elsewhere in Nigeria. Another prominent, widely used derivative of “amir” in English is “admiral.” It is derived from the Arabic "amir-ul-bahr,” which translates as “commander of the sea.” (Amir ul or amir al translates roughly as “commander of”). So if you think “emir” is a Hausa word, what do you think of “admiral” since it shares the same lexical origins are “emir”? Like “emir,” admiral was also first domesticated in French as “amiral” and came to English as “admiral” around the early 1200s. It should be admitted, though, that although “emir” is an English word with lexical roots in Arabic, it’s often associated with Muslim rulers, and evokes connotations of Hausa-Fulani Muslim overlordship in Nigeria. I think that’s the basis for the resistance against the title among Yoruba nationalists. The successors to the prophet of Islam (called khalifa or “Caliphs” in Islamic literature) were often called “amir-ul- muminin,” which roughly translates as commander of the faithful (i.e., Muslim faithful). (Interestingly, Hausa people don’t call the most prominent traditional ruler in the Muslim north the "Sultan of Sokoto"; they call him “Sarkin Musulumi,” which translates as leader of Muslims—obviously a domestication of “amir-ul-muminin”; it’s also more natural for Hausa speakers to say “daular Usmaniyya” than to say “Sokoto Caliphate”). 3. It is unnatural for Hausa people to call their traditional rulers "emir"—or even the original Arabic "amir"—when they speak Hausa. It was British colonialists who introduced the words "emir" and "sultan" to northern Nigerian royal lexical repertoire, but the words haven't even been domesticated in the Hausa language, showing that the people aren't quite enthused about them. Saying “emir” or “sultan” while speaking Hausa is generally understood as code-mixing, that is, interspersing a conversation with foreign words. 4. Similarly, in their quotidian conversational encounters, Ilorin people call their "emir" Oba, even though the "Oba" traces ancestral descent from Fulani people. The market near the emir of Ilorin's palace is called "oja oba," which means "market of the oba" in Yoruba. 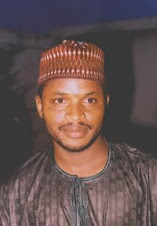 “When I was a reporter for the Weekly Trust in 2000 I was assigned to cover a controversy over the calls for an ‘Oba of Ilorin.’ In the course of my investigation, I spoke with people from all classes of the Ilorin society. “One thing that struck me throughout my stay in Ilorin for the story was that everybody in the town, including members of the ruling family, called their traditional ruler ‘Oba’ when they spoke in Yoruba. ‘Emir’ sounded strange, even forced. Like Hausa people up north, the Ilorin people don’t relate well to the word ‘emir’ unless they are putting on airs or speaking in English. “A particularly insightful encounter for me was an interview I had with an old, uneducated man who identified himself as a descendant of Afonja, the Yoruba founder of Ilorin who lost power to the progenitor of the current ruling family. I asked him if he wanted an ‘Oba of Ilorin.’ He was genuinely befuddled. His response, in Yoruba, was: ‘What are you talking about? We already have an Oba.’ Using the categories that have been popularized by the Nigerian news media, I said, ‘No, you don’t have an Oba; you have an emir.’ His comeback threw me off. He didn’t know what an emir was. ‘Kilo je be? [what is that? ],’ he said. 5. 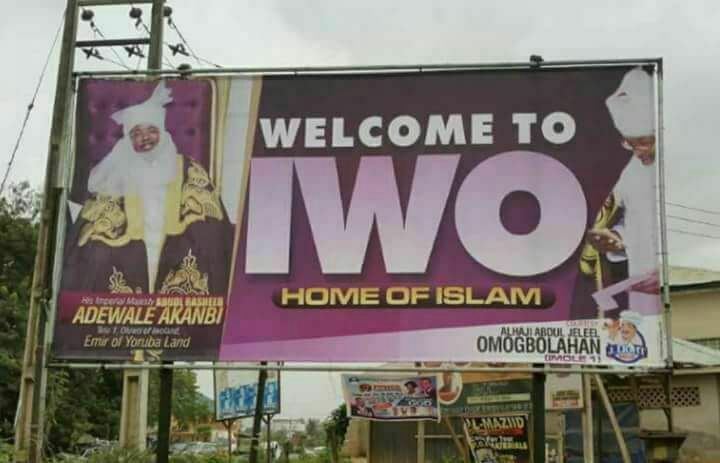 The roots of Islam in Iwo go back to several centuries. The town had sharia courts and was the center of Islamic scholarship several decades before many northern Muslim communities. Perhaps it is the basis for the Oba’s decision to bear the title “emir.” The colonialists who imposed the term “emir” on northern Muslim traditional rulers could have called Muslims obas in Yorubaland "emir" if they wanted to, and it would have stuck. Consider this: The very name “Yoruba” isn't native to the Yoruba people, as I've written in several columns; it's a colonial imposition, which Ajayi Crowder helped to popularize. The colonialists actually toyed with the name "Nago" (the name of a Yoruba subgroup in Benin Republic) but later chose “Yoruba,” which is the corruption of Yariba, the Songhai exonym for people in the old Oyo Empire. Even the Oduduwa myth of origin that Yoruba people cherish about themselves came about as a colonial project to foster a sense of oneness among members of the cognate but nonetheless disparate language groups that now fancy themselves as Yoruba. (The colonialists wanted to reduce Nigeria's ethnic and linguistic complexity to just three ethnic groups, which was unsuccessful. They also promoted the Bayyagida myth and several other myths of origin in Nigeria. I know this will be hard to accept, but it's true). Anyone who chose your very collective name and fostered a collective identity where none existed before could have done anything. The colonialists (although it's the Portuguese) called Eko "Lagos," and that's what we still call it today. The colonialists decided that Yoruba people in parts of what is now Kwara and Kogi would be northerners, and that's what they are today. So don't discount the power of colonialists to shape identities. Had they chosen to call obas emirs, that's what they would have been.